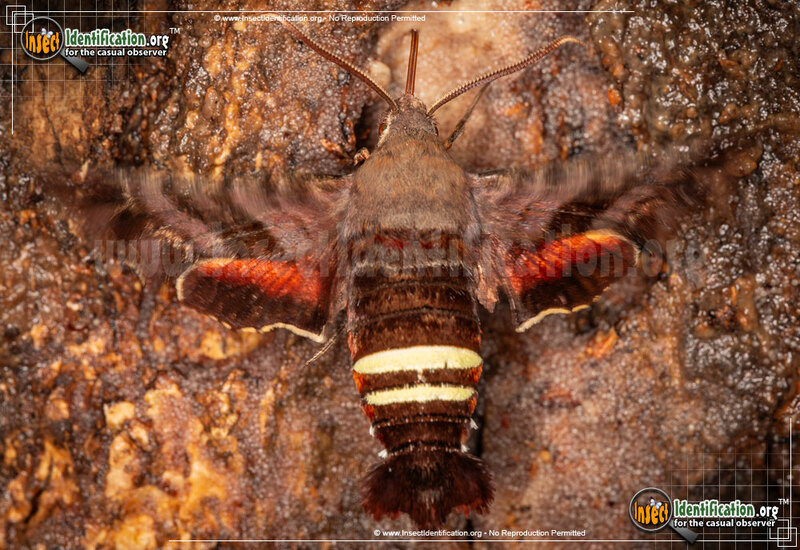 Detailing the physical features, habits, territorial reach and other identifying qualities of the Nessus Sphinx Moth. 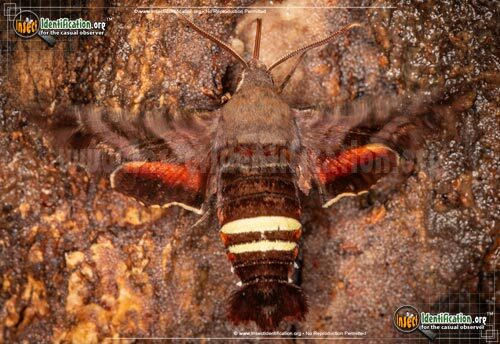 Its large size, day-time flying habit, and bright twin yellow abdominal stripes make it hard to miss the Nessus Sphinx Moth. 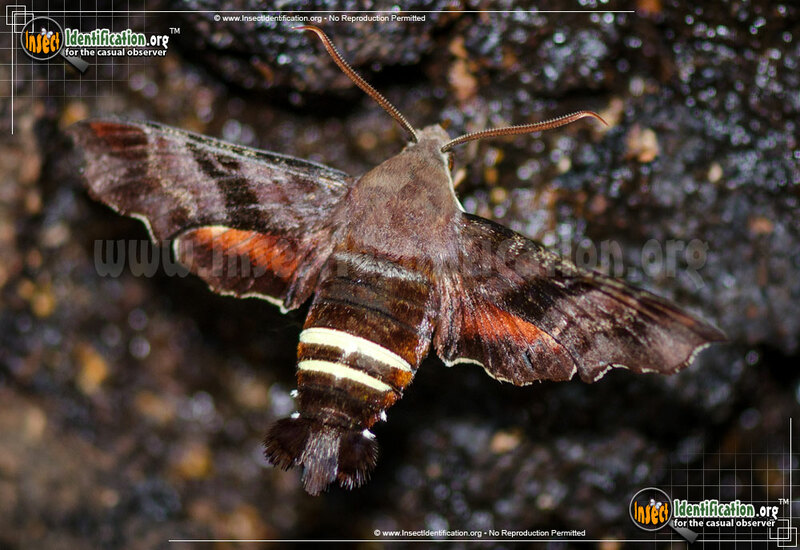 The Nessus Sphinx is a member of Sphingidae, a family of powerfully fast moths that are typically seen drinking flower nectar. 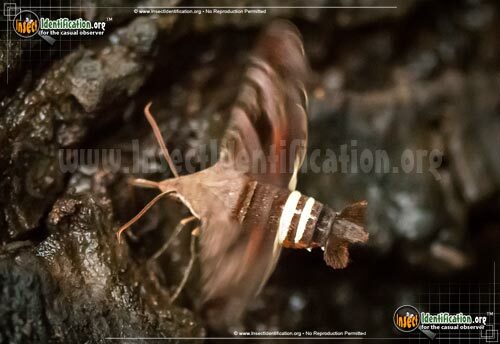 The Nessus Sphinx has two yellow bands on the abdomen that are thought to help it mimic a wasp as it hovers over blooms. The tip of the abdomen has a tuft of hair that resembles tail feathers. Flashes of bright orange-pink on the hindwings can be seen on spread wings. They are active both day and night, making it easier to encounter them in gardens. 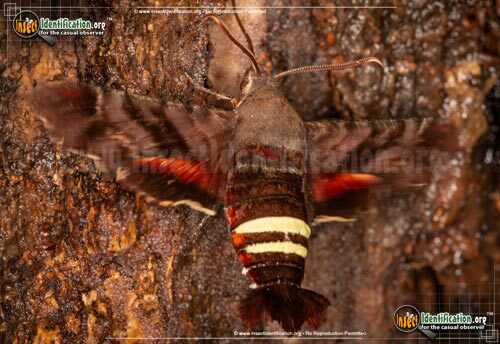 They can also be found in forests, parks, along waterways and in backyards. Adults drink the nectar of a variety of flowers like phlox, lilacs, geraniums, and mock orange trees. 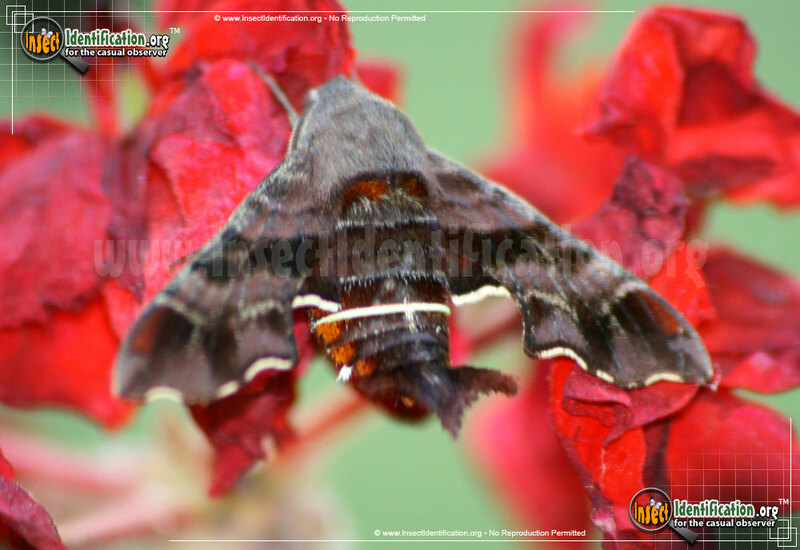 The larvae can be found feasting on grapevines, Virginia creeper, peppervines, and cayenne pepper plants. 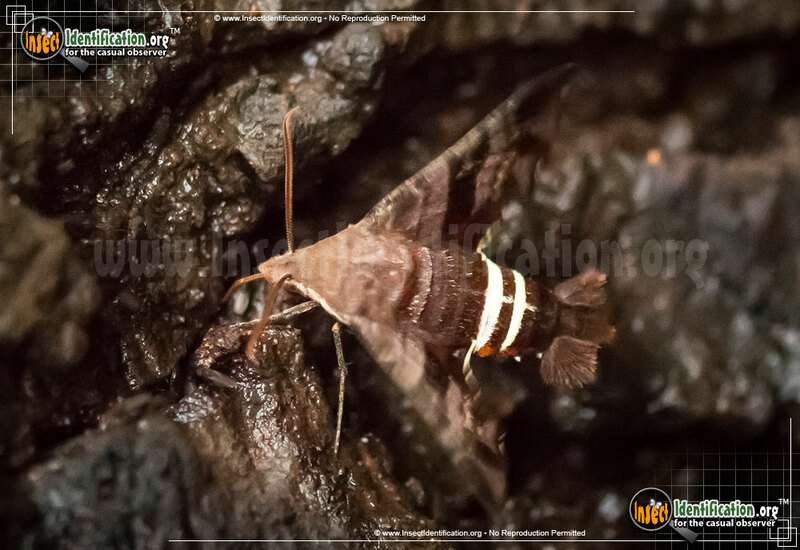 When ready to pupate, larvae move to the ground and build a small chamber underground.